When you migrate to a new hosting provider, it’s likely that you’ll also wish to transfer the emails in your existing account. 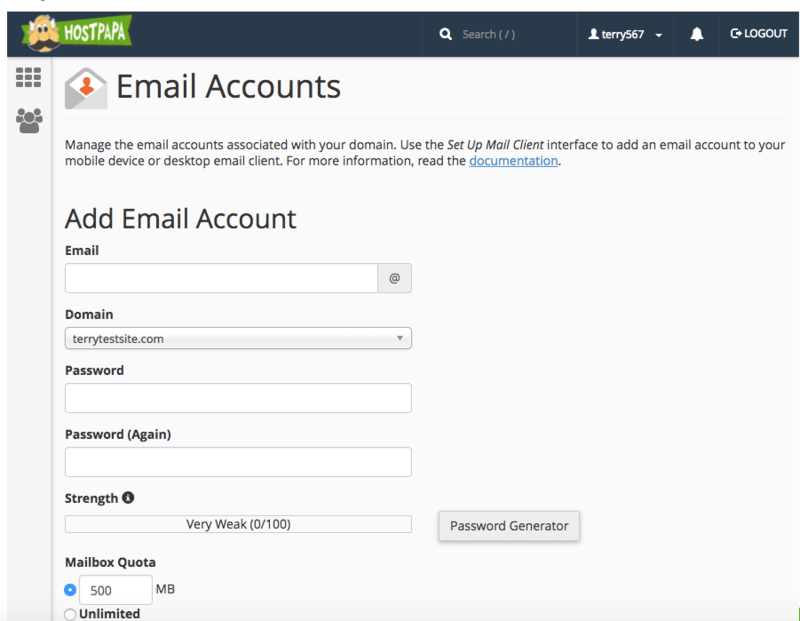 This task can be performed via cPanel, but if your existing host does not support cPanel, you can transfer the contents of your mailboxes manually, using any modern email application. 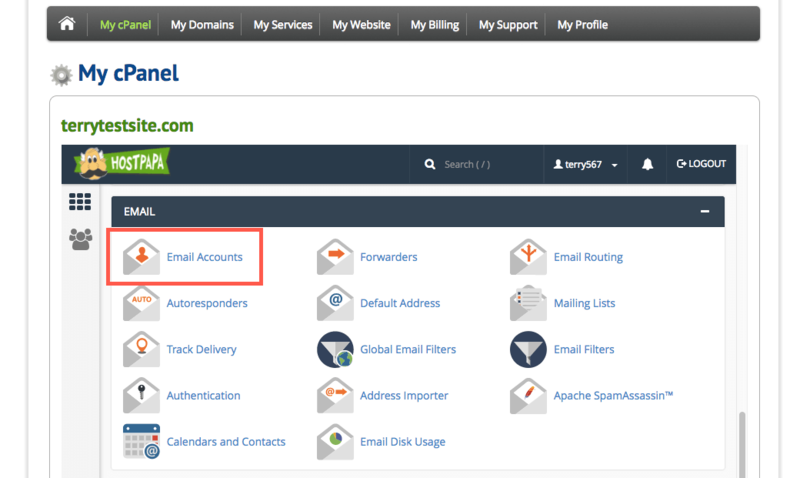 To get started, if you haven’t already, create your new email account using My cPanel, which is available via the HostPapa Dashboard. Select Email Accounts, then complete the Add Email Account form to set up the new account. Once the account has been successfully created, scroll down the page to the Email Accounts section. Select Set Up Mail Client to retrieve the configuration details needed to set up the account in your email application. Open your email application and set up your new account. Do not delete your existing email accounts at this point. Once complete, you should have email accounts configured for both your old host and the new HostPapa email account you have just set up. Both should be visible in the left pane of your email application. 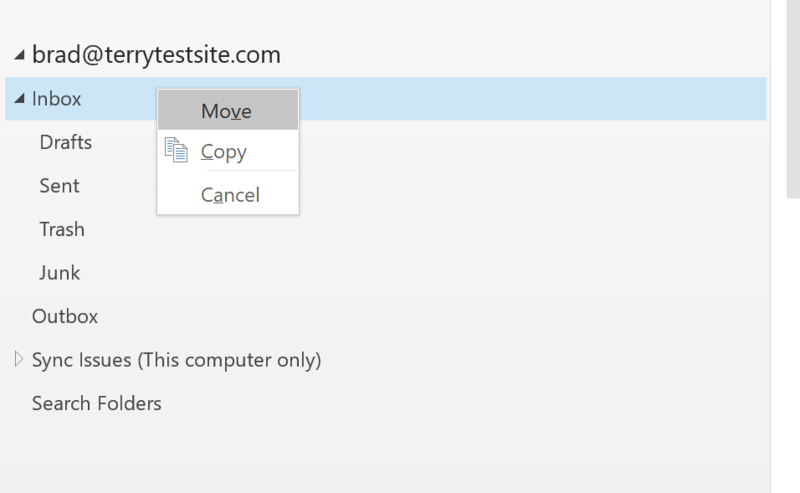 In this example, we’re using Outlook 2016 to illustrate the configuration steps. We are also using two different email addresses to make the example clearer – each of your accounts should have been configured with the same email address, but pointing to different host servers. We can now proceed to migrate emails between the two accounts. Head to your old inbox and select the emails you wish to transfer. 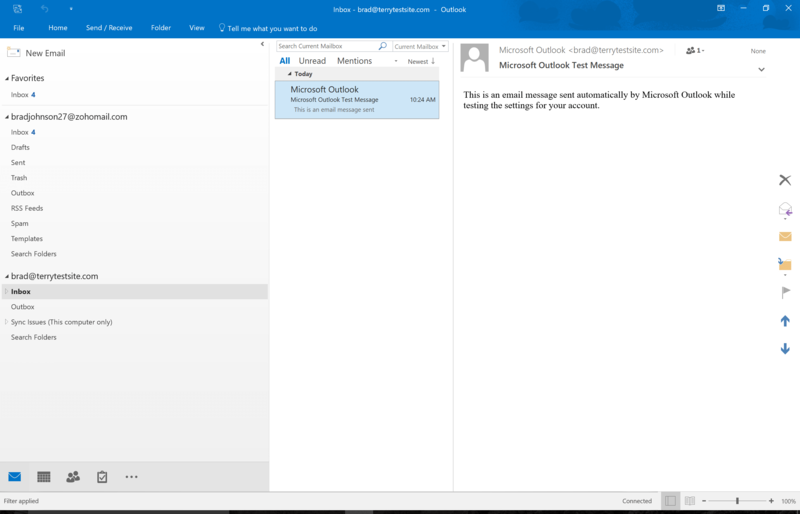 Now drag and drop the selected emails to your new account’s inbox, in the left pane. A menu will appear, allowing you to Move or Copy the emails to your new account. If you select Move, your emails will be deleted from your old account during transfer. Copy retains the email in each mailbox. Make your selection and then check each mailbox to ensure your email has successfully migrated. Continue to configure and migrate additional mailboxes and mail folders as required. Once all your emails have been transferred, you can delete your old account.